AMI (Advanced Metering Infrastructure) is a crucial part of your energy distribution system, providing you with the necessary data for invoicing, while securing energy distribution and grid maintenance processes. Aidon’s total offer includes all elements for a complete AMM system. Our system can be seamlessly integrated with the DSO’s information system environment. Aidon’s new generation Energy Service Device (ESD) combines meter, communication, versatile sensors, and interfaces with efficient processing power. Communication technology plays an essential role in smooth and reliable AMM system operation. Retaining a high AMI service level requires dedicated care and maintenance of the system environment, as well as expert resources. Meanwhile, the accelerated pace of technical development and rapid changes in the operating environment increasingly place demands on your solutions. More and more companies also in the energy sector are transitioning system operation and maintenance activities to benefit from the ‘as-a-service’ model. This helps to ensure their systems utilise the latest technologies, without binding their in-house experts to take care of this. If you are looking for a partner who can bring you peace of mind, Aidon – with our extended service ­­portfolio – is ready to offer you a helping hand. AMI Services: We take care of your head-end system, communication infra and the devices, including their monitoring, maintenance and updates. If you prefer to run your AMI as a SaaS model instead of investing in an on-premise set-up, our ACloud is the solution for you. Project management services: From large-scale AMI roll-outs to smaller upgrade projects or special tasks, you can rely on the experienced Aidon experts who provide you with the support to your need. Power grid management (PGM): Leveraging the data provided by the meters, our PGM applications enable monitoring the status of the grid, planning maintenance operations and pinpointing faults and deviations to secure a reliable distribution of electricity. Expert services and daily support: Our service desk supports you with daily queries and trouble shooting. Our trainings help you keep your in-house expertise up to date – and when needed, our consultancy services fill in the remaining competence gaps. From reactive to proactive, our technology, service offering, and experts enable a high level of reliability to your AMI operations. Putting the customer first is a core value at Aidon. 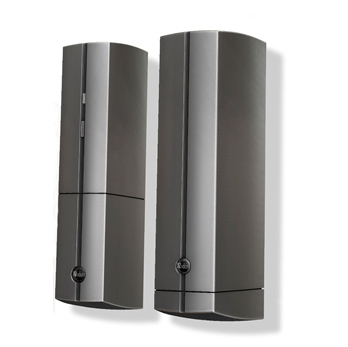 Gateware Head-End System (“HES”) receives and reads metering information, as well as event logs and status information, from the smart devices and makes this information available for the head-end system users and other business systems. Gateware is also responsible for the possible configuration changes for the devices during operation time. Aidon Linkware provides integration interfaces to DSO’s information systems. Various interfaces and technologies are available (Web Services, XML files, flat files). Aidon Gateware provides management and execution of various AMM tasks based on scheduling as well as ad hoc operations towards the devices. Gateware contains a graphical user interface for the use of DSO’s system operators. Aidon Meteringware is a scalable connectivity engine for efficient data collection and storage from the smart devices. Live information on device communication topologies is used in the communication optimization. Support System enables remote access to the Head-End System and devices for troubleshooting and maintenance. Software Update System enables remote upgrading of Energy Service Devices in the field. 2G/3G/4G network or utility’s own Ethernet network is used for connecting the Energy Service Devices with the reading system. 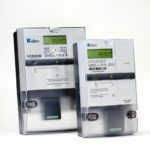 Aidon Energy Service Device (ESD) consists of a meter and a system module with a communication unit. Master ESD connects with Slave ESDs via an RF mesh network or a RS-485 loop network. It uses WAN/LAN connection to connect with the reading system. In stand-alone installations, the ESD uses a direct P2P connection to the reading system. The ESD devices form an interconnected RF mesh Neighbourhood Area Network for data transmission. 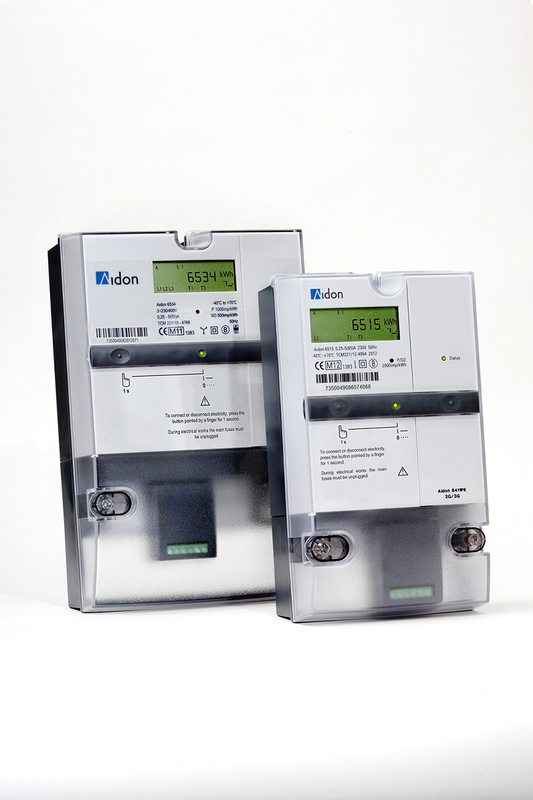 Aidon Energy Service Device (ESD) consists of a meter and a system module with a communication unit. Slave ESDs connect with a Master ESD via an RF mesh or an RS-485 loop network. Find out more about the various system elements by clicking the +-buttons above. The device has a clear and robust design, and it is easy to install. Remote upgradability enables the deployment of new applications and activation of new functionality during the device’s lifecycle. The task of the meter is to measure energy consumption and generate measuring data, at defined intervals, e.g. every 15 or 60 minutes. The measuring data is further processed by the Energy Service Device’s system module. The system module controls the meter and enables provision of time-stamped registry values, control of loads, monitoring of power quality, registration of power outages and fault information, as well as reading of external status information. 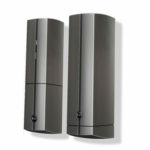 The system module also takes care of communication between the Energy Service Device and the head-end system. In Aidon devices, communication functions are separated into the system module. This allows the meter and the communication system to have different lifespans. For example, the communication technology can be updated during the AMM lifetime by changing the system module, without having to replace the whole meter. MCD is an independent wireless RF communication unit without a meter. MCD can be used as an RF master or RF slave device to extend the radio network coverage and/or capacity. It can also be used to connect other metering devices or sensors to the same AMM system. Aidon’s solution offering covers various communication technologies for different needs. The principle solution is based on an autonomous RF mesh network in which the metering devices use each other to build micro networks that re-route automatically in case of environmental conditions affecting the radio signal. In this solution, local metering devices (slaves) deliver their data to a master device. Master devices use 2G/3G/4G connection to communicate with the head-end system. Alternatively, the utility’s own Ethernet connection can be used. This solution is particularly suitable for urban and suburban areas where metering points are close enough to each other to create a micro network. In the point-to-point solution the metering devices are in direct connection with the head-end system via cellular of fibre networks. This solution is typically used in rural areas. A third alternative communication solution is wired RS-485. It is used in locations where all metering devices are located in the same space, such as in apartment buildings’ technical rooms. A similar slave-master principle as in RF networks is used for communication with the head-end system.